Welcome to my website, I hope you will find it informative. If you have any questions please don't hesitate to contact me. TREAT YOUR MUM ON MOTHERSDAY. GIFT VOUCHERS AVAILABLE. I am a fully trained clinical Foot, Facial , Nerve, Maternity and Reproductive Reflexologist (Aiming to boost natural fertility). 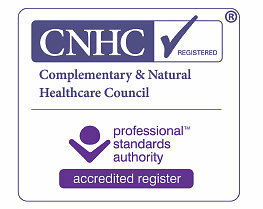 I am registered with the Complementary and Natural Healthcare Council so accredited to work within the NHS. A full member of the Association of Reflexologist and Association of Reproductive Reflexologists. More and more people are now choosing to take greater responsibility for their own health. Recognising that eating healthily, exercising more and reducing stress greatly influences our health. A holistic point of view. If you have been ill, under stress, or suffering from a chronic condition, your body will be in a state of imbalance. This lovely treatment can be used to help restore that imbalance, maintaining the body's natural equilibrium and encourage healing. As Reflexology is a holistic therapy, clients with the above results feel they are more able to cope with illness or health problems, which in turn can help in the pain perception and how they deal with their Illness. It can be used in conjunction with conventional pain drug therapy. Reflexology and chemotherapy work as a partnership. Chemotherapy produces side effects, mental stress and a fear of the unknown especially when you first start. To read this study please go to "Price, links and contact me page"
Fertility in both sexes is often taken for granted so if you are trying to start a family Reproductive Reflexology can be used by both of you as a stand alone treatment to enhance your natural fertility or in the case of fertlity difficulties can be used in conjunction with conventional assisted fertility treatments such as Clomid, with fully medicated cycles of IUI, IVF, ICSI as well as with Donor eggs. Members of the Association of Reproductive Reflexologists are specially trained to work alongside medicated cycles using treatment protocol that we believe works to enhance the medications efficacy. Nerve Reflexology (NR) is generally performed in conjunction with Classic foot reflexology. As we know the Nervous System is responsible for the creation and adaption of pain. Nerve Reflexologists believe that by working Nerve reflex points on the feet that we are giving the body the chance and capability to change nerve transmission and thus break the circle of pain. The body always having the ability to balance itself if given the chance. Pain manifests itself in many ways, commonly in the muscle skeletal system but also in conjunction with the organs then other pain states arise. With the in-depth training we have received we aim to encourage the body to become more balanced, then pain and its perception should reduce. I have just completed postgraduate training specialising in helping Migraine sufferers. This and other types of headaches and chronic pain conditions can be greatly helped with this specialist form of Reflexology. Please see more details on Nerve reflexology and Pain explained at MNT-NR International. Reflexologists never diagnose, prescribe or treat. This is up to the clients healthcare provider or specialist. Clients will always be encouraged to see their GP immediately with any symptoms or worries they may have. It is a complimentary treatment and so is safe for people of all ages, from babies to the elderly, for pregnant women and those undergoing or recovering from most medical treatments. I offer Reflexology (incorporating NR- Nerve reflexology, VRT-(Vertical Reflex Treatment) and Meridian Therapy),Facial , Reproductive (Fertility) and Maternity Reflexology from my central Uxbridge treatment room. Uxbridge is easily accessible from the M4, M40 and M25 motorways. Uxbridge tube station is on the Metropolitan and Piccadilly tube lines; just 5 mins walk to the treatment room. A Dr Marilyn Glenville Health tip. Reducing stress could increase your chances of getting pregnant. A study published in Psychoneuroendocrinology analysed the levels of stress hormone cortisol from 135 women who were going through IVF between December 2012 and April 2014 (their average age was 35). Over two days samples of saliva were taken on waking, 30 minutes after waking and at 10 pm. Samples were analysed to look at levels of cortisol. The researchers from the University of Nottingham found that IVF success was reduced by 27% when cortisol levels were higher. 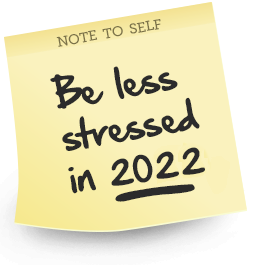 Make stress relief part of your fertility plan. A Doctor Marilyn Glenville Heath tip. Chronic Fatigue Syndrome often appears after a period of prolonged stress. The adrenal glands control our stress response and the instigation of an emergency state in response to a perceived danger. They produce hormones involved in keeping our blood sugar stable by ensuring a constant supply of glucose to the brain, increasing blood pressure if under stress, controlling our mineral balance, moderating the immune system and inflammation, and production of certain hormones such as DHEA, testosterone and small amounts of oestrogen. Symptoms of adrenal problems include morning tiredness or severe dips of energy around mid afternoon, fluctuations in blood sugar with real low dips that can only be relived through eating, inability to cope with stress, inability to concentrate, dizziness and light headedness on getting up suddenly, persistent infections especially during periods of rest. Weight gain is linked to metabolism, and metabolism is linked to the action of the thyroid gland. So if you have PCOS, you should get your thyroid function checked. It may be worth asking your GP to check for thyroid antibodies, as well as the thyroid hormone levels. Women with PCOS have a higher risk of suffering from autoimmune thyroid disease, which means that your own cells attack your thyroid. Some studies suggest that if you don’t have enough progesterone (common in PCOS because you don’t produce this hormone), you could be more susceptible to this autoimmune problem. Healthy thyroid function is essential for ovulation and fertility. Get your vitamin D level checked too because a deficiency in this nutrient has been linked to autoimmune conditions. Not only will losing weight ease your PCOS symptoms, but studies show that if you are a healthy weight, you will get pregnant more quickly, and if you do decide to have IVF, your chance of success will be higher. Even a small 5–10% loss in we.i.ght can have a remarkable effect on your ovaries, and slimming down also protects you, to some extent, against the miscarriage risk so commonly associated with PCOS. Supplementing with DHA, a component of omega 3, could reduce DNA damage to sperm. A recent study published in Systems Biology In Reproductive Medicinelooked at the effects of supplementing with DHA for 10 weeks. 57 men were split into two groups, randomly assigned to receive either 1500mg of sunflower oil daily or 1500mg of DHA. The DHA group showed an increase in antioxidant status and a reduction in damage to the DNA of sperm. As well as taking a good quality omega 3 supplement it is also worth making sure you are having 3 portions of oily fish a week. A mobile service is available to the following areas in West London, Middlesex, Berkshire and Buckinghamshire: Uxbridge,Denham, Harefield, Ruislip, The Chalfont's, Beaconsfield, Slough, Stoke Poges, Iver, Langley, West Drayton, Northolt and all the other towns and villages in between! Find me on Google by searching for "Maternity Reflexologist West London" or "Fertility Reflexologist Buckinghamshire"
*Not including Maternity priming clients. **Schweiger, U., M. Deuschle, B.Weber, et al. (1999). "Testosterone, gonadotropin,and cortisol secretion in male patients with major depression. ***Louis, GM., KJ Lum, R Sundaram et al. (2011) "Stress reduces conception probabilitties across fertile window: evidence to support relaxation" Fertil Steril 95 (7) 2184-2189.